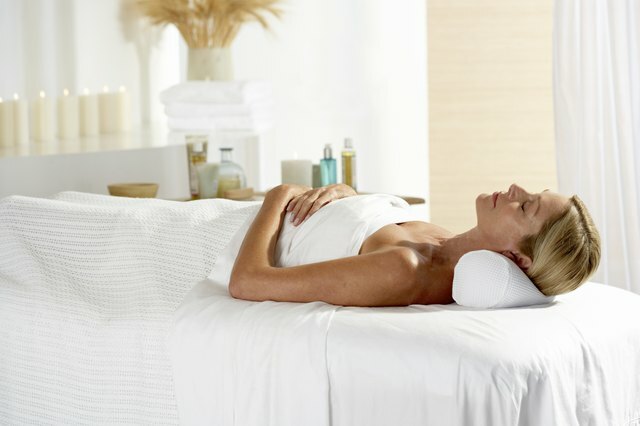 A spa visit — for a single day or longer — is the perfect way to relax, unwind and give yourself a bit of pampering. A little pre-spa preparation will ensure that your first visit goes as smoothly as possible. Arrive 15 minutes before your appointment, and pay attention to what you wear and eat for a truly relaxing experience that will leave you dreaming about your next. Booking your treatments in advance is key, as this guarantees that the spa will be able to accommodate your needs. If you are considering multiple treatments, speak with someone from the spa directly so that they can best organize your time. For a visit that includes a facial, massage and pedicure, for example, your treatments may need to take place in a specific order for optimal results. 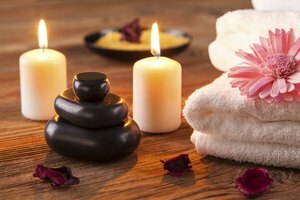 When you're booking treatments, ensure that you have time to take advantage of the spa's facilities -- such as the hot tub, sauna or mineral baths -- as well as to relax between appointments. Avoid wearing jewelry to a spa, because you will be asked to remove it before getting treatments. Towels and robes are typically provided at spas, so there is no need to bring your own. The same goes for personal hygiene products, such as shampoo and soap, but bring your own if you prefer. 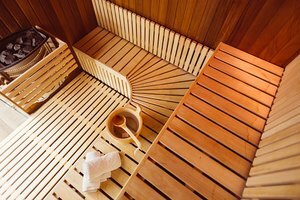 If your spa day includes the use of a sauna or hot tub, check in advance whether a bathing suit or sandals are needed. Because you will be relaxed after your visit, wear comfortable clothing, such as a pair of sweatpants and a loose cotton top. Eat lightly before arriving at the spa, so you don't feel heavy and full during your time there. Stay hydrated by drinking plenty of water before, during and after your visit. Massages and hot humid conditions, such as in a sauna, are wonderful for detoxing and relaxing, but they cause your body to lose fluid. Similarly, to ensure that you get the most from your visit, take a shower before you arrive and exfoliate well to remove as much dead skin as possible. This will help you get the most benefit from skin treatments, such as facials, body wraps and body scrubs, which use special ingredients to nourish and pamper your skin. Arrive at the spa 15 minutes before your first appointment — or earlier if you want to enjoy shared facilities, such as a hot tub. This gives you a chance to check in, fill out paperwork and tour the facilities so you know what is available to you. Plan to pay for a few extras while at the spa, such as smoothies or a light lunch; bring a credit card to avoid having to carry cash.